Releev VS Abreva - Which Cream is Better for Cold Sores? If you’ve ever had cold sores you know the pain and discomfort that’s associated with them. Not to mention the internal pain that your ego has to suffer because of the appearance. Looking for a remedy that not only numbs the pain and itching but gets rid of the cold sore will quickly climb at the top of your priority list. Two of the most commonly used creams are Releev and Abreva. Let’s review them and see if one is better than the other. In terms of safety considerations, Abreva cream is the only non-prescription cold sore medicine approved by the Food and Drug Administration (FDA). Its main active ingredient is Docosanol. On the other hand, Releev is a relatively new product in the treatment of cold sores. It’s a topical microbicide that’s a blend of benzalkonium chloride 0.13% and phytochemicals. How Do The Creams Work? 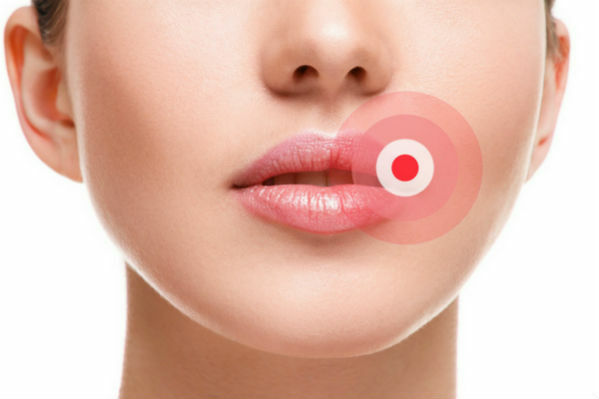 The goal is to make these cold sores disappear but how exactly do these creams work? How Long Before Abreva & Releev Work? The good news is with Releev you can expect most of the symptoms to clear up within just 24 hours of initial use. Be prepared to wait a little longer when you use Abreva as it can take up to 2 ½ days to clear up the sores if you applied it at the first sign of a sore. Where Can You Apply These Creams? With Abreva cream, you can apply it up to five times a day. Application with Releev is recommended to only three or four times a day. Whether you’re using Abreva or Releev you can use a cotton swab or your finger and remember it’s vital the sore is completely covered. Who Can Use These Products? Releev is non-irritating and can safely be used by adults & kids older than two years. However, while Abreva can be used by adults it has an age restriction: Kids under the age of 12 shouldn’t try this. Note: Regardless of your child’s age you must talk to your doctor first before applying just to be on the safe side. TIP: Cold sores are contagious so never share a tube. With any medication starting treatment as early as possible is advisable to quickly combat the problem and shorten the duration of the illness. Cold sore treatment is no exception. For effective results apply these creams at the first sign of a tingle, bump or itch. After that, you keep on applying to relieve symptoms. While it’s relatively safe to use, there are certain instances where you can’t use Abreva. Avoid it if you’re allergic to daisies or if you have a yeast infection. Yes, there is some risk in any treatment, but hopefully picking either of these will help you get rid of those cold sores—and fast. READ MORE: How to treat a canker sore?